Happy August everyone! Top celebrate the advent of this fine month we thought we’d return to our Birth Flowers series and take a close look at the Gladiolus which is August’s birth flower. A couple of other noteworthy facts: gladioli are traditional gifts for a fortieth wedding anniversary. 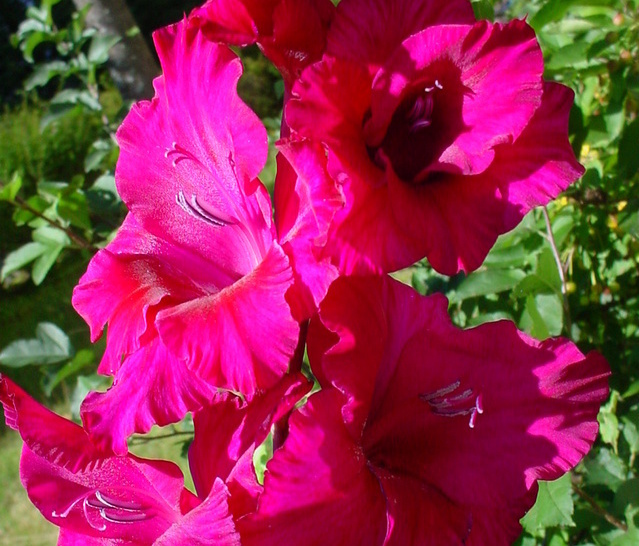 The word ‘gladiolus’ was the word spelled out by Frank Neuhauser to win the first ever National Spelling Bee all the way back in 1925. In terms of Birth Flower significance, the gladiolus is thought to represent ‘strength, moral integrity, remembrance and infatuation.’ These are all positive traits which you could list in a card message when sending a bouquet of birthday flowers containing gladioli for an August birthday. i am continuously reading your blog because your blog are useful and informative.